The City of Racine Public Health Department offers residents of the City of Racine and the Villages of Wind Point and Elmwood Park a wide range of services and information. The City of Racine Public Health Department is prepared to assist you with administrative, laboratory, and community and environmental health programs/services. The Staff Directory provides contact information for the Public Health Department. Not sure who can help with your public health question? Call the main number at 262-636-9201 for assistance. The City of Racine is preparing a Bicycle & Pedestrian Master Plan with recommendations to improve accessibility and facilities for pedestrians and bicyclists in the community. 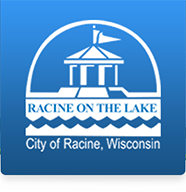 This page contains important information about a variety of topics to assist residents and visitors of the City of Racine. View the City of Racine Municipal Health Codes. This page contains information regarding the community health center being developed by the City of Racine and Racine County. Are you interested in volunteering your time to improve the community's readiness for disasters? Considering joining the Racine County Medical Reserve Corps. The Public Health Department has assembled a comprehensive set of statistics and data regarding various health topics and determinants of health that affect the residents of Racine, surrounding communities, Wisconsin, and the United States.